This is a family favourite, I don’t know how it’s taken me so long to share it with you. 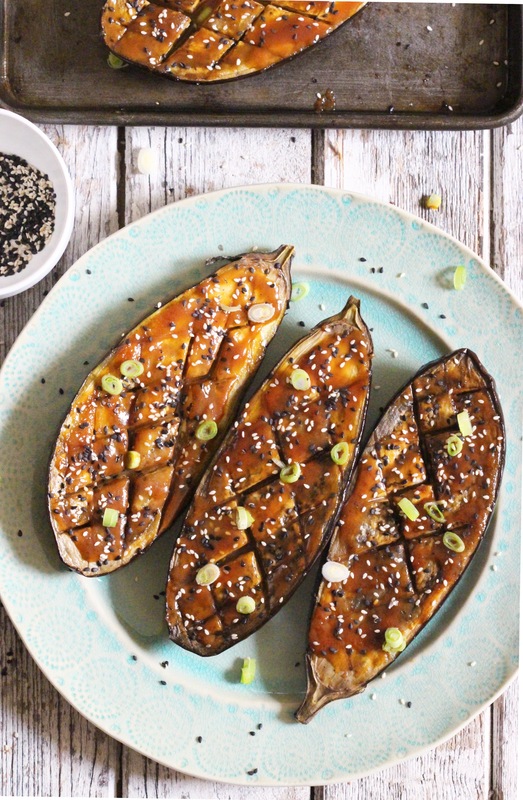 It’s a Japanese dish of miso glazed aubergine and it’s one of my favourite things ever. 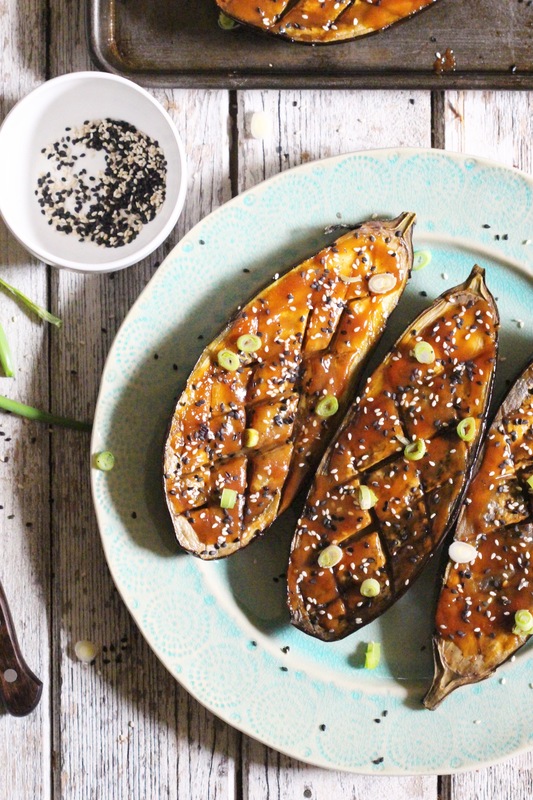 There’s nothing quite like a perfectly soft aubergine bubbling with sweet miso and you won’t believe how easy it is to make. It’s a great excuse to head to your local Asian market and stock up on ingredients! Turn the grill to 220’C. Chop the aubergines in half lengthways and score the flesh. Brush them all over with a little sesame oil and then place them on a roasting tray skin side up. Pop them under the grill for about 9 minutes. Flip them over and place them back under the grill for another 9 minutes. While they’re cooking, add the miso, coconut sugar and mirin to a small saucepan on medium heat and whisk until smooth. The aubergines should be tender and cooked through by now, if not keep them under the grill for another minute or two. Brush the miso mixture evenly over the scored flesh and sprinkle on the sesame seeds. Place them back under the grill for about 3 minutes, until the miso starts to bubble. Keep an eye on them as the miso will start to burn very quickly. Serve hot with a sprinkling of chopped spring onions. Hi, is coconut sugar the healthiest option for adding sweetness to this? If not, what would the alternatives be? I really don’t add sugar to my dishes where possible so would appreciate your advice. Hi. Is coconut sugar the healthiest option for adding sweetness to this dish? I don’t use sugar in my dishes so would appreciate your advice. Looks delicious, will definitely try!